Over the past years Albania is attracting the attention to worldwide known travel magazines and media. This time the National Geographic has listed Albania among 10 Places that deserve more travelers. Firstly they describe the situation on the ground. “For decades, Albania was among southeastern Europe’s least visited—and least accessible—countries. A virtual fortress under the isolationist tactics of communist dictator Enver Hoxha (who spent four decades building over 700,000 needless, and largely useless, defensive bunkers across the country), Albania collapsed into chaos after Hoxha’s death in 1985 and the subsequent fall of the U.S.S.R”. , —now brings in almost 3.5 million tourists a year. This article reveals Albania how it really is and the reason why go now. 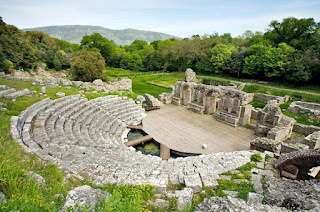 National Geographic has listed which places you shouldn’t miss in Albania, such as: Butrint, the city of Saranda, Byzantine basilicas, and Roman mosaics etc.